Adjustable height workstations provide a more ergonomic solution. To operations such as packing, processing returns, assembly, repair and inspection. The more comfortable position gained aid gains in productivity, because they easily let operators work in the ergonomic position, suitable for their own needs. (The same station can be used by someone tall as someone short on multiple shifts, or if the load or work varies in height, like multiple sized boxes or components that may be different sizes.) Using adjustable height workstations you should See a decrease in employee absence and improved productivity. The most cost effective option you can choose is the allen key height adjustment mechanism. Simply loosen the screws and the bench will lower. With a colleague, adjust to the correct height, then tighten the screws. The bench is now ready for work. The second option is adjustment via a manual handle. Turn the hand crank clockwise or counter-clockwise to raise or lower the workbench to the desired height. NOTE: Electrically operated height adjustment, do provide further ergonomic protection over a winding handle or allen key adjustment. With some operations the option to work standing or sitting is of great benefit. (Volume / fast moving processes should generally be standing, whilst intricate process, such as repair or delicate electrical assembly is better carried out sat down. 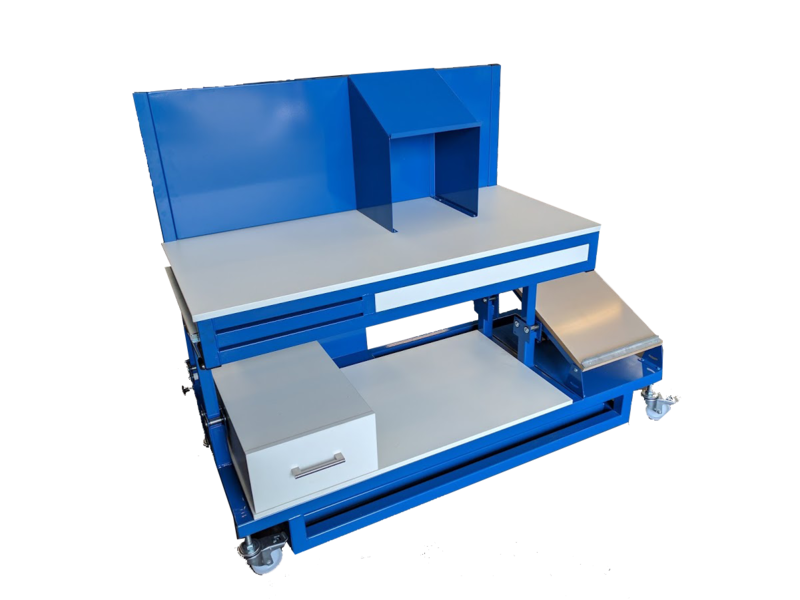 By having adjustable workstations ensures the need for both, so benches can be used for more than one process or re-configured as required. reducing the number of workstations. Can adjustable height workstations still be lean or bespoke to our business processes? 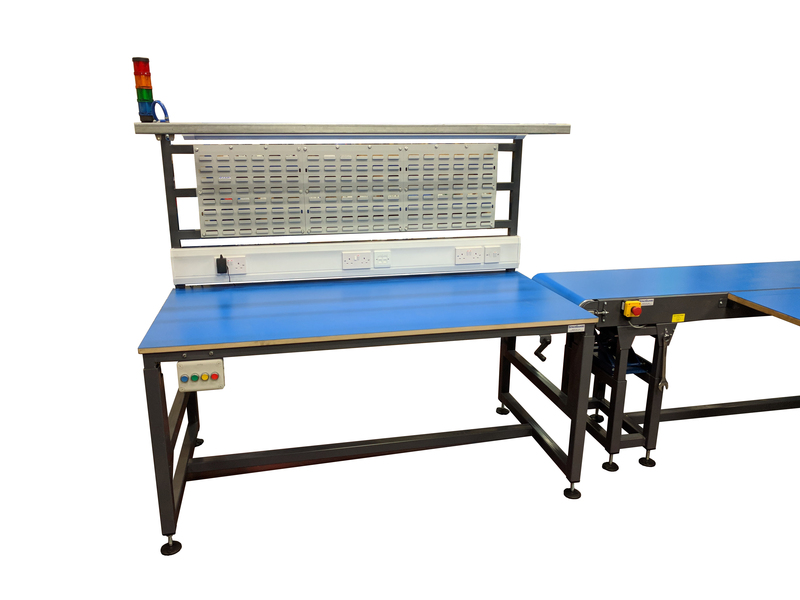 Height adjustable workstations can be built to suit your processes. Often combining processes through the same workstation, resulting in less floor space requirements. Addition of lighting, tool rails, electrical outlets, pneumatics, storage or process equipment can be combined within the workstation. 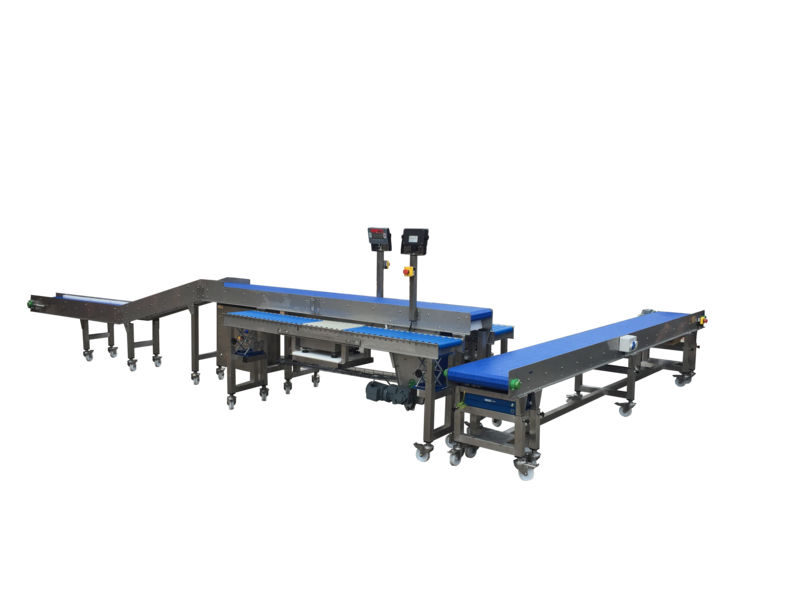 Can whole workstations which include transport conveyors be height adjustable? The same benefit can be given to whole process lines, where machines and operators are at differing heights, which again means the process line is fully adaptable to the business requirements.